BFK001 (cobble) and BFK002 (hammer) – (Digital Photograph: Brian Mac Domhnaill, April 2015). The surface of the cobble (BFK001) is blackened in places. It fits nicely in the hand and it doesnt take a huge stretch of the imagination to see it being used as an improvised tool. In archaeology a hammerstone is the name given to a hard cobble used to strike off flakes from a large flint nodule or core. The hammer (BFK002) was one of the better-preserved tools at the site even though the head was rusted and the handle had begun to rot. 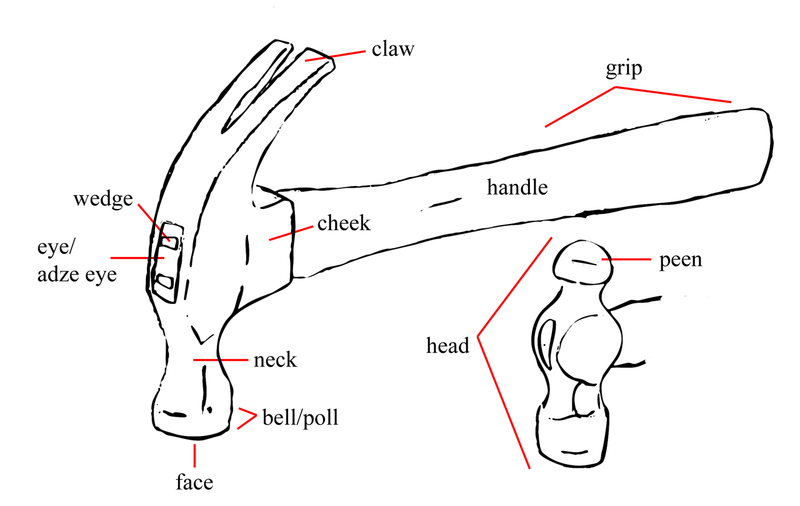 It is a straight-peen hammer, a variant of a ball-peen hammer commonly used by blacksmiths. The flat face of the hammer is used for striking a punch or chisel but also for hardening a surface by impact through a process known as peening. The wedge-shaped and vertically orientated peening face is useful for rounding off edges of items such as metal pins or rivets. There are three different burn marks on the handle. One is distinctly linear and there is a slight depression in its profile, which suggests that the hot item was cylindrical. It is likely to be a mark left by another tool or an item that was being forged. 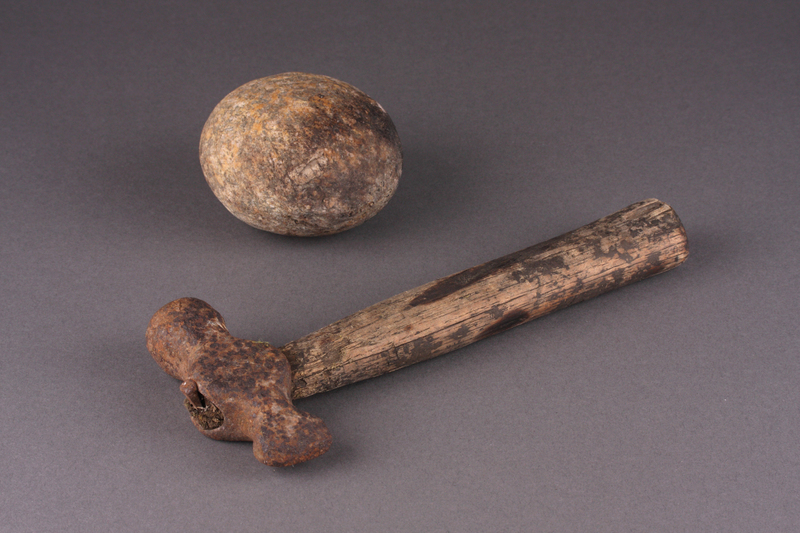 There is single nail hammered into the adze eye and bent over against the head to keep the handle in place.